Standing Silent Nation is a 2006 documentary film about Alex White Plume, a resident of South Dakota’s Pine Ridge Reservation. 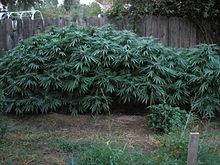 After a great deal of research, Alex and his family planted industrial hemp, under the incorrect assumption that tribal sovereignty laws would allow the production of this non-psychoactive relative of marijuana, and the film details the consequences of his actions. 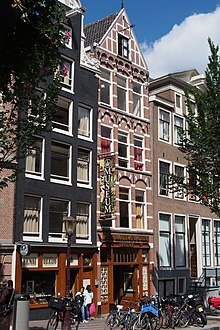 The Hash, Marihuana & Hemp Museum is a museum located in De Wallen, Amsterdam, Netherlands. According to the museum, more than two million visitors have visited the exhibition since it opened in 1985. Dedicated to cannabis and its many uses, the museum offers visitors information about the historical and modern uses of cannabis for medicinal, spiritual and cultural purposes. The museum also focuses on how hemp can be used for agricultural and industrial purposes, even including clothing accessories and cosmetic products made from hemp fiber in their gift shop. In 2012 the museum opened a second location in Barcelona, the Hash Marihuana Cáñamo & Hemp Museum. Sambe (Korean: 삼베), or hemp fiber, is a traditional fiber for Korean clothing. The knowledge of weaving sambe skillfully is being lost, has been deemed a national treasure, and specific individuals with the ability were designated intangible cultural assets. Sambe was the primary textile fiber used in clothing for commoners prior to the introduction of cotton to Korea in the late 15th century. A particularly fine variety is andongpo from Andong, North Gyeongsang Province. Scutching is a step in the processing of cotton or the dressing of flax or hemp in preparation for spinning. The scutching process separates the impurities from the raw material, such as the seeds from raw cotton or the straw and woody stem from flax fibers. Scutching can be done by hand or by a machine known as a scutcher. Hand scutching of flax is done with a wooden scutching knife and a small iron scraper. The end products of scutching flax are the long flax fibers, short coarser fibers called tow, and waste woody matter called shive. Steve Allin (born 1955) is an author, teacher and pioneer in the use of hemp in construction and director of the International Hemp Building Association. The International Hemp Building Association (IHBA) is the largest association internationally in this sector. Members and partners of the association include architects, builders, consultants, designers, the European Industrial Hemp Association (EIHA), the Hemp Industries Association and manufacturers. A non-profit association founded in 2009 by director Steve Allin author and hemp building consultant, the association globally promotes and supports the production and use of all hemp based construction materials and their by-products in a sustainable and bio-regional manner. 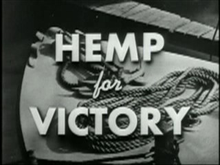 In April 2011 professionals in the hemp building industry from around the globe were interviewed for the documentary Bringing It Home at the association’s 2nd International Hemp Building Symposium, in Granada, Spain. 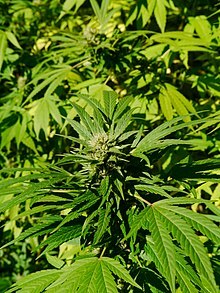 For editor resources and to collaborate with other editors on improving Wikipedia’s Hemp-related articles, see WikiProject Cannabis and WikiProject Plants. Do you have a question about Hemp that you can’t find the answer to?